The spring market is already very active here in Frederick, at least as far as the real estate market. We’re seeing a rush of buying activity, with homes going under contract within days of coming on the market, and we’re seeing multiple offers. And as a brokerage with agents all over the state, we’re seeing increased activity in many places throughout Maryland. We’re not seeing enough inventory in most places. February’s sales were a little low, compared to the previous year, all over the Mid-Atlantic region. But we still are seeing appreciation. 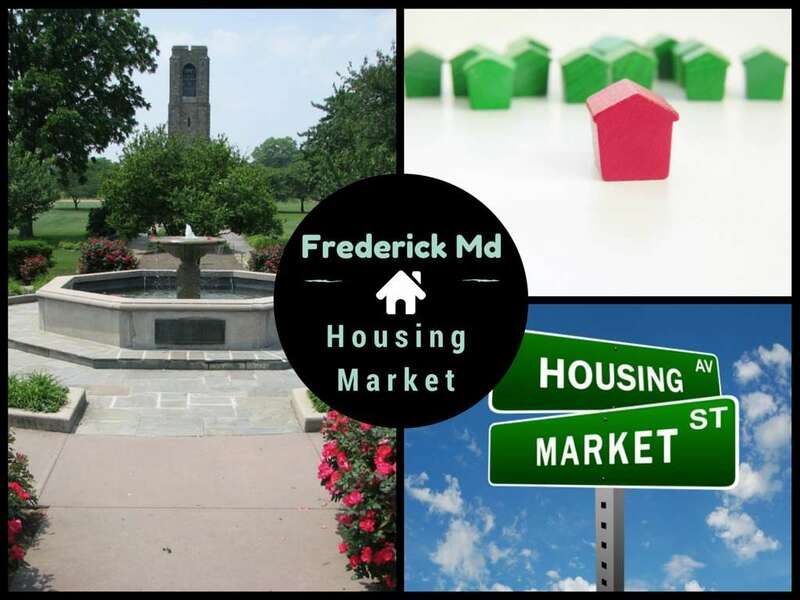 Here is a snapshot of Frederick County real estate market trends for March 2019, and a projection of what we can look forward in the year. The Median Home Sales Price: $325,000, up 5% from last March. Average Attached Home Sales Price: $277,981, up 5.3% from last year. 171 single-family homes sold, down 3% from last year’s January number. 100 townhouses and condos sold, down 42% from last year’s number. A total of 271 homes sold, down 22% from last year’s 348. Lack of inventory? Demand has been increasing, but inventory is also still low, although it is 7.3% more than last year. (926 homes on the market) Keep in mind that a “normal” inventory is between 1200 and 1300 homes on the market. Average Days on Market (DOM) the time it takes to get a home under contract: 84 days, up 5% from last year (80 days). 84 days is less than the 5 year March average of 97 days. Number of Homes Under Contract: There were 455 new contracts (homes that went under contract) down 6% from last March. If we drill down further, we find that only 127 homes went under contract with contingencies, compared to 213 last year at this time. This is down 40% from contingent contracts last year. There were 328 homes that went under contract non-contingent, compared to 271 last year, an increase of 21%. So, more homes are being purchased non-contingent. 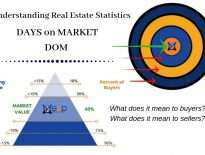 Why is DOM an important statistic? Total Listings in Frederick Md: 926. The inventory is a low number for Frederick County, especially when you consider that roughly 250 – 300 of these listings are new homes and to-be-built homes (about 40% of the listings). That really means that there are around 600 resale homes.The best homes are selling in days right now. The spring market promises is turning out to be very busy! Sellers got 98.9% of original list price on average, compared to 97.1% at this time last year. Appraisers are saying we saw 4% increases in 2018, depending on price range. Lower price ranges (average $300,000) are appreciating more than the upper price ranges, which are appreciating about 2%. We also can count on a healthy price appreciation in 2019. In some price ranges, in some areas of Frederick County, there is naturally a higher demand and the market is more competitive for buyers. Some neighborhoods, like Urbana, Middletown, New Market, Mt. Airy, and a few in the city of Frederick, are in high demand and sell much quicker. We are seeing multiple offers on homes that are in great condition and priced to sell. Homes in the $300,000 range, are in demand and have seen a 4% increase in value over of the year. Less appreciation, 2% on average, for homes in the highest price ranges. But the good news is that homes above $600,000 have been selling again…in some areas. There is a 12 month absorption rate for homes in the upper price ranges, compared to a 2 month absorption rate for homes in the lower price ranges. What are the best neighborhoods in Frederick County? In any market, but especially in a seller’s market, buyers must be prepared before they find a home. You must be pre-approved by a reputable local lender. Some sellers will not entertain offers from a buyer who has not been pre-approved. If you have a house to sell, you need to get it on the market first, before you make an offer. Better yet, have your home under contract if you want to win in a multiple offer situation. Some people find that having their home sold and having temporary living set up gives them the greatest advantage. The majority of homes sold were in the $200,000 to $299,000 range. (high competition) The largest number of listings are in the $400,000 to 499,000 price range. Even though interest rates have been up and down, the Fed is not being decisive about more interest rate hikes for the near future. Many lenders look for rates to be relatively flat. Whatever happens, these rates are still historically low! See today’s rates. Luxury Homes in Frederick County: There are 3 homes on the market between 2.5 and 5 million, and 10 homes between 1 and 2.5 million. The highest priced homes that sold this month were in the $800K to $999K price range. (3 homes sold). There are 22 homes currently listed between 1 and 5 million. 26 homes are listed between $800,000 and 1 million. 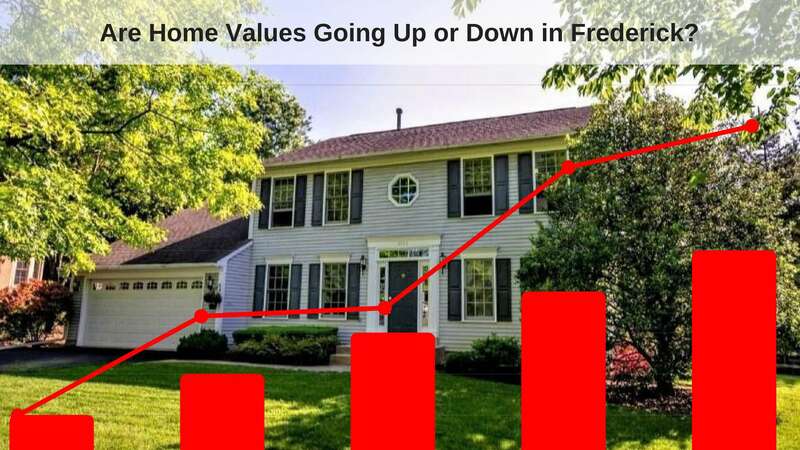 What’s My Frederick Home Worth? All indications are that the market is healthy and serious buyers are continually entering the market, even though the market was slow this winter. If you’ve been waiting for the right market to sell, this could be it. The Spring market is here. We are seeing more multiple offers on the homes that are in great condition and priced to sell…which means at market… and this will continue to put upward pressure on home prices throughout 2019. Homes that are priced well and in the best condition, and in areas of demand, are sold in weeks or even days. This doesn’t mean that seller’s can expect huge increases…they need to remember that the home must still appraise about 90% of the time, as buyers count on financing to purchase. Pricing your home too aggressively will cause it to sit on the market longer, and you’ll need to do a price adjustment eventually, often losing important marketing time and losing more money than if it had been priced correctly at the start. These statistics are not guaranteed but are considered accurate. Contact Chris Highland to see homes for sale in Frederick Md.